Home / airlines / india / issues / tips / 10 tips to Deal with high flight ticket cancellation charges! 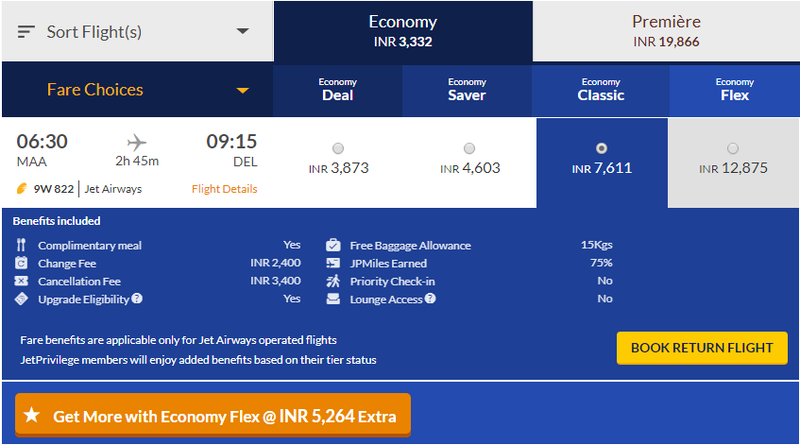 10 tips to Deal with high flight ticket cancellation charges! Airline cancellation fees have shot up to Rs 3000 or full ticket fare, which ever is lower. What this means is in most cases you've to lose 100% of ticket value if you're to cancel. Airlines are desparate to make more money and trapping already paid customers with complicated and expensive rules is one easy way of getting free money. In this post, I am detailing 10 different ways how you can deal with high cancellation charges. I don't have a magic formula to get you 100% refund, but I am giving 10 different tips that if properly used, can help you save some money during cancellation. Read this, share this post with your friends if you find these tips practical. - Flight is rescheduled: Due to various operational reasons, airlines often reschedule flights- timings change. If by chance timing of your flight changes, you will have an option to confirm change or ask for different flight or get a refund. If flight timing changes (say by an hour or two) you can always claim that new time is not convenient for you and ask for refund. Some airlines like air asia give credit points which you need to use within 90 days to make fresh bookings, while some airlines may give full cash back. Point is if you get lucky you can escape paying huge cancellation fee and get your money back. -Flight gets cancelled: Though lesser probability, if by chance your flight gets cancelled you can get full refund. So, don't rush to cancel, wait till say 2-3 days before travel date- if any rescheduling/cancellation happens from airline side use it for your advantage, else cancel. The drawback of this process is that someone who needs a seat may not get an opportunity to fly- but this is very low probability- anyway airline is neither giving discount to new passenger saying this seat is already paid for by cancelled passenger, nor cancelling passenger gets any benefit since his/her seat is anyway being given to someone else and airline is not really suffering any loss. So don't worry about it. Also be sure to set some reminders/alerts to cancel within time. If you forget to cancel or if you don't cancel within permissible time (usually before 24-48 hours) you get nothing back. When you book a flight, you might want to buy some additional services- extra bags, meals, priority boarding etc. When you cancel your ticket, all these additional payments are also gone for good. Though airline can give full refund since they've not yet delivered these services, they have terms to say that payment made to buy these services are non refundable. Plus, unlike ticket price, price of a baggage or meal doesn't increase closer to travel date. You pay same irrespective of how soon or how late you buy these services. So my suggestion is to buy them very close to travel date once your travel is fully confirmed. Another advantage: If there're 3 people in a PNR and only 1 check-in baggage is purchased- if that person can't travel that check-in bag money is gone- can't be transferred to other 2 passengers traveling. You'll have to buy fresh check in baggage. If you buy it closer to travel date, it can be bought in the name of person most certain to travel. Only exception could be seat selection, if you're very particular where you'd like to sit, as your preferred seats might get taken by others if you wait till last minute. 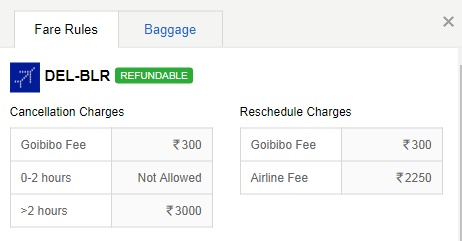 Some airlines sell Zero cancellation service for a fee (like Rs 249). If you pay this extra premium you will be waived off from paying Rs 3000 cancellation fee. Please read the terms carefuly- convenience fee paid will not be refunded. If you fly as per plan without cancelling this money is gone- this one is like an insurance premium, but might be worth buying if there's a reasonable chance that you might cave to cancel. Note: This strategy is not recommended if you're returning same day or next day. For example, if you've booked a DELHI-BLR morning flight and BLR-DEL return flight same day on single PNR, if your onward flight is cancelled say due to fog, you can get full refund. But if you've booked two separate tickets, airline will refund only on onward ticket, if evening return flight is operating as per schedule, since return ticket is a standalone one. If you have high chance of cancellation, it might be worth delaying your flight booking and book closer to travel date once you have better certainty. Ixigo study suggests that about 48% Indians book their ticket less than 30 days prior to travel. This trend will only increase if cancellation policies get expensive. If lots of people keep delaying their booking because of high cancellation fee, then airlines will be forced to rethink- because if planes don't fill up till last moment, even airlines will have lots of uncertainty- they won't know if this flight will be full or not etc. If you notice carefully, booking 1 month in advance makes more sense than booking 6 months in advance, particularly when your travel is not 100% certain and cancellation can cost entire ticket amount or Rs 3000 whichever is less. You're paying a few hundred rupees more, but you saved 5 month interest, and probability of having to cancel is now much lower compared to what it was 5 months ago. Guest: How much for rescheduling? Guest: Can you please move my booking to next week? Guest: Now can you please cancel it for me? Risk is if you can't travel on rescheduled date it will be extra money lost. (cancellation cost + rescheduling cost)- In above example, if you can't travel as per rescheduled ticket you get nothing back, effectively lose Rs 1800 overall. This is just one example, do the math for your scenario to decide if rescheduling is a worthy option. 9. Use 24 hours no questions asked cancellation/Hold-PNR provision where available. Go to airline website, select any destination, enter your details, go till payment page and then let the page time out. In most cases someone from airline will call you to check why you couldn't complete booking or if you need any help. Tell them that you decided not to book because of high cancellation fee. Similarly do tweet to airlines and indicate your displeasure. Hopefully if lots of customers complain about high cancellation charges the message reaches right people and they will reconsider high cancellation fees. Govt of India has already expressed its displeasure [Details], let us see if that works. Spot on list! and yes, buying zero cancellation is the only resort, if booking much in advance..Sometimes, the airlines also offer discounts if you book a return ticket with them..
Nice info's , Thanks a lot. Thanks a lot Shrinidhi for the detailed post. I will put it to good use.. Zero refund and waiting for the last minute to cancel the ticket to start with.. Even I was contemplating buying zero cancellation for my upcoming trip. But I realised that it is possible only to MMT where the fare was higher than the actual airline website which had a promotional offer. so I left it out. In a way it helped as I had to postpone my trip without having to cancel and rebook. But after reading this post and recollecting my 2017 trauma of missing my flight from Delhi, I regret my decision of not booking through MMT. Very valuable tips - thanks !